When’s the last time you caught up with a friend without playing catch up on your phone at the same time? 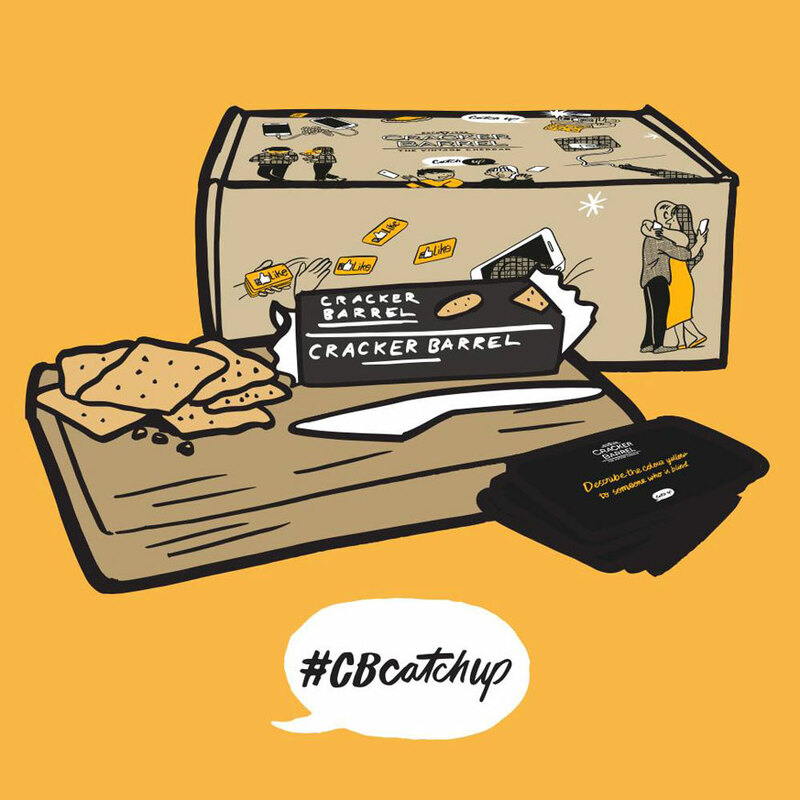 That’s the question Cracker Barrel posed to cheese lovers Australia-wide with their free cheese packs, designed to inspire real conversations and tech-free times. In keeping with the theme, Mark Long’s delightful campaign characters and graphics were created with a real, tech-free lead pencil.